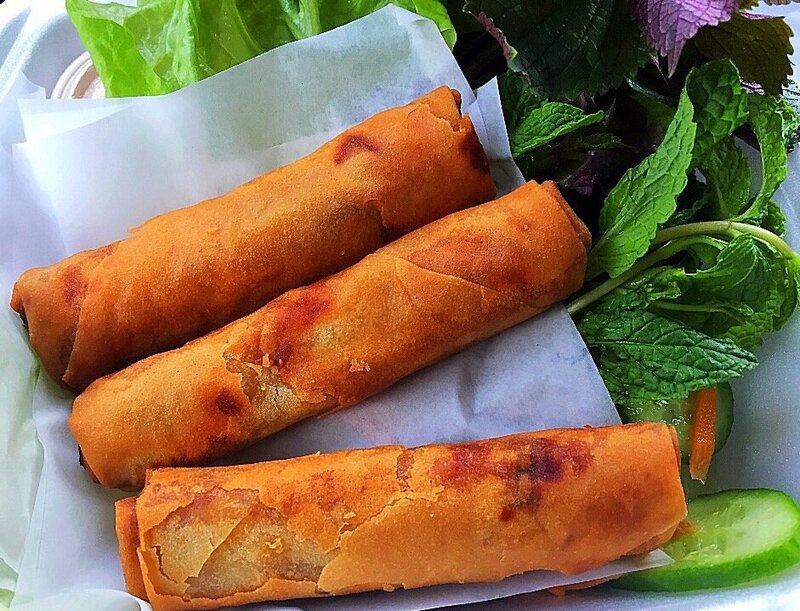 Crispy fried egg rolls with ground free-range chicken, shrimp, mushroom, side of fresh herbs. 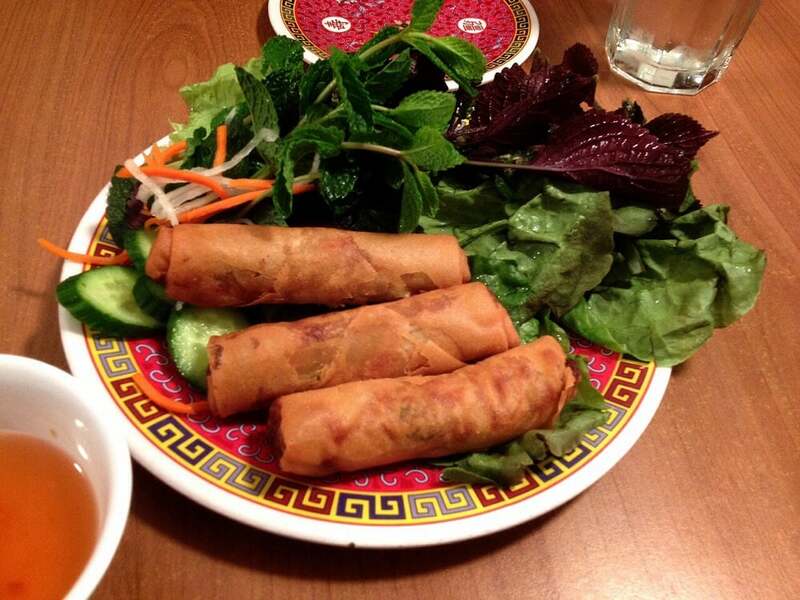 Crispy fried egg rolls with tofu, mushroom, mung beans, vermicelli rice noodles, side of fresh herbs. 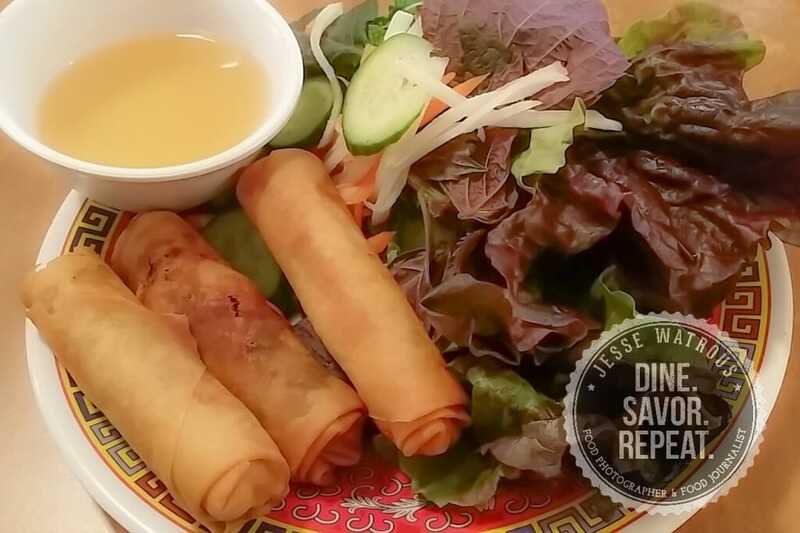 Fresh spring rolls with charbroiled lemongrass steak, shrimp, vermicelli rice noodles. Fresh spring rolls with tofu, mushroom, vermicelli rice noodles, peanut sauce. Vietnamese crepe with shrimp, charbroiled lemongrass steak, mushroom, bean sprouts, side of fresh herbs, rice paper wrap. Vietnamese crepe with tofu, mushroom, bean sprouts, mung beans, side of fresh herbs, rice paper wrap. Sugar cane shrimp. 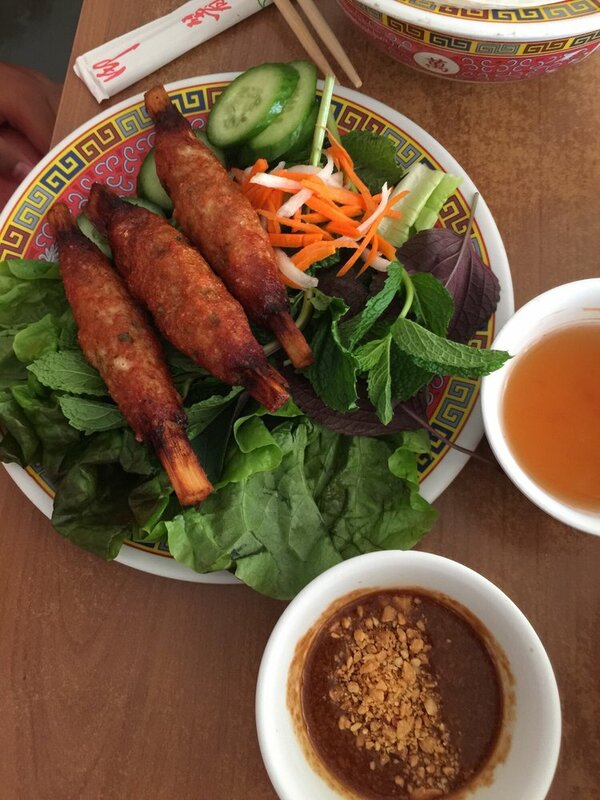 Sugar cane skewer, ground shrimp and pork, side of fresh herbs, rice paper wrap. Beef rice noodle soup with slices of filet mignon steak, side of fresh herbs. 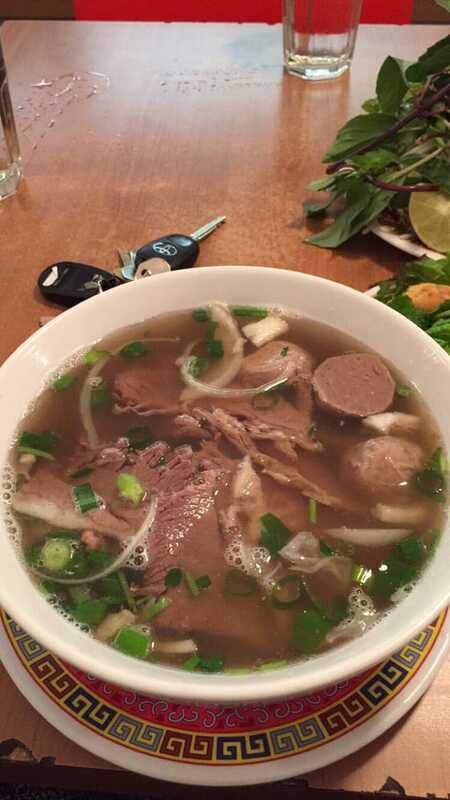 Beef rice noodle soup with slices of filet mignon steak, beef balls, tendon, tripe, side of fresh herbs. Beef rice noodle soup with beef balls, side of fresh her. 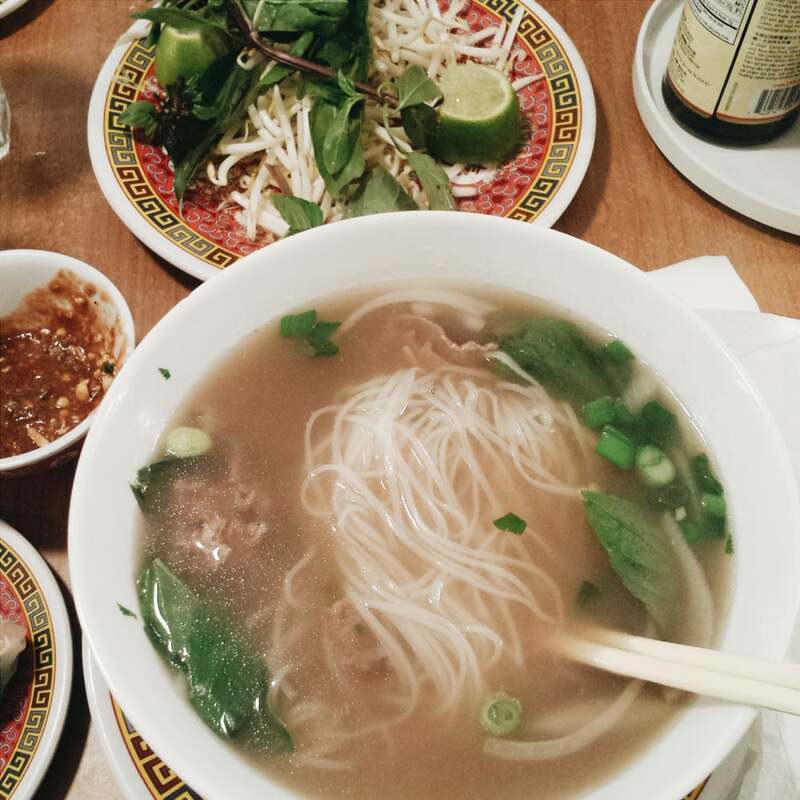 Beef rice noodle soup with slices of filet mignon steak, tendon, meatballs, side of fresh herbs. Beef rice noodle soup with slices of filet mignon steak, meatballs, side of fresh herbs. 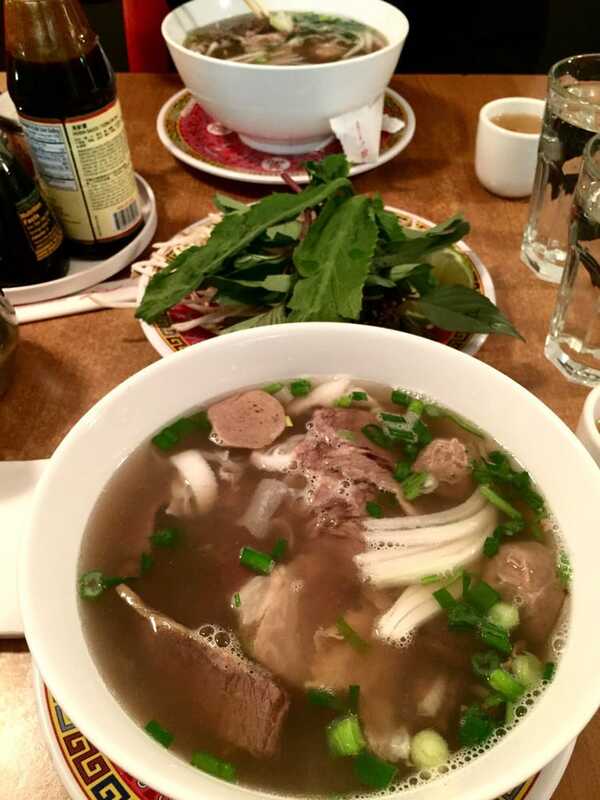 Beef rice noodle soup with slices of filet mignon steak, tendon, side of fresh herbs. Chicken rice noodle soup with free-range chicken, ginger sauce, side of fresh herbs. Vegetable rice noodle soup with tofu, mushrooms, bok choy, side of fresh herbs. Vermicelli rice noodles, egg rolls, peanuts, fresh herbs. 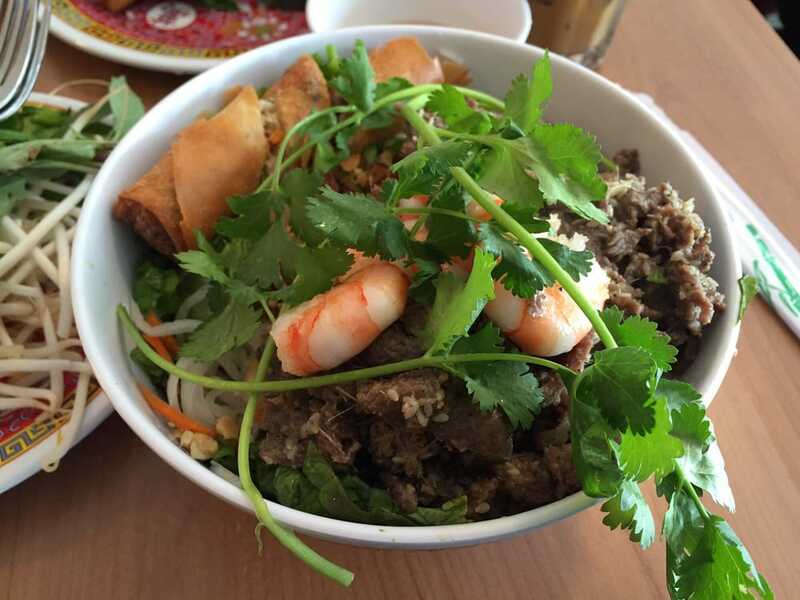 Vermicelli rice noodles, egg rolls, charbroiled lemongrass steak, peanuts, fresh herbs. 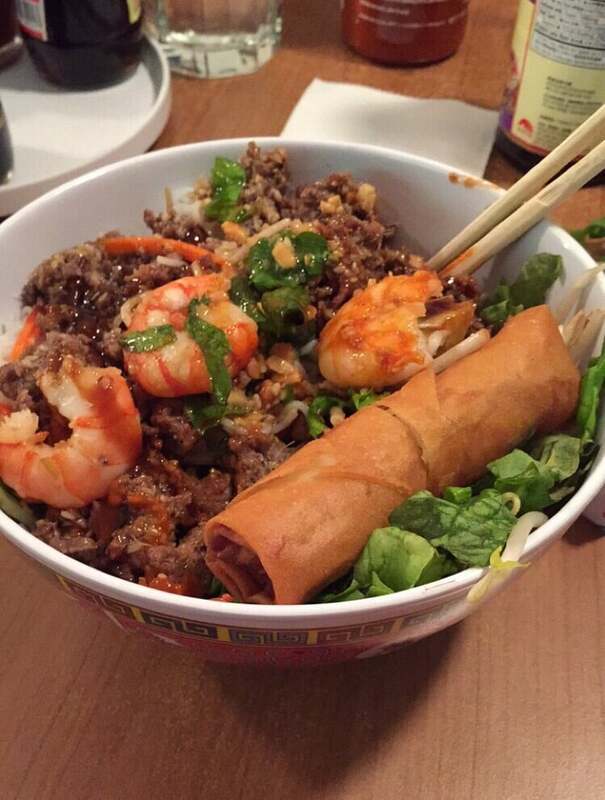 Vermicelli rice noodles, egg rolls, shrimp, charbroiled lemongrass steak, peanuts, fresh herbs. 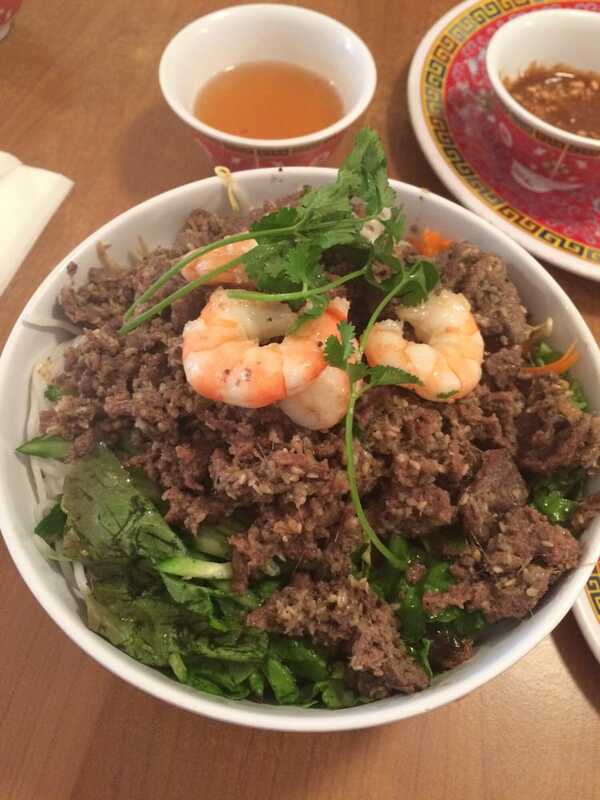 Vermicelli rice noodles, shrimp, charbroiled lemongrass steak, peanuts, fresh herbs. Vermicelli rice noodles with vegetarian egg rolls, tofu, mushrooms, bok choy, peanuts, fresh herbs. Vermicelli rice noodles, grilled fillets of basa fish marinated with fresh turmeric and dill, peanuts, fresh herbs. Glass bottle. Coke, seven up, crush. Iced tea, iced green tea. Hot tea. Jasmine, wild chrysanthemum, fresh mint, fresh ginger. Vietnamese hot coffee with condensed milk. Vietnamese iced coffee with condensed milk. Love this place. So does the family. Highly recommend my favorite - #17. Guarantee you won't be disappointed. 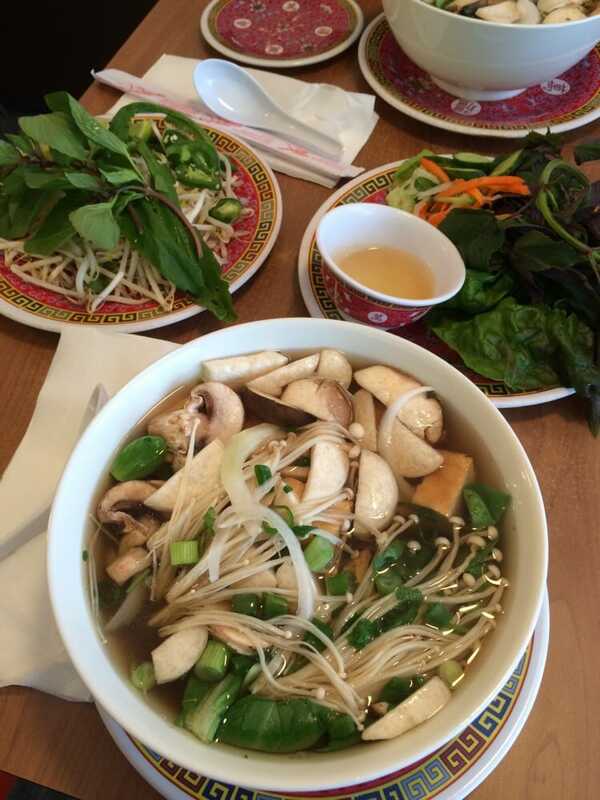 Great Vietnamese food at a great price. 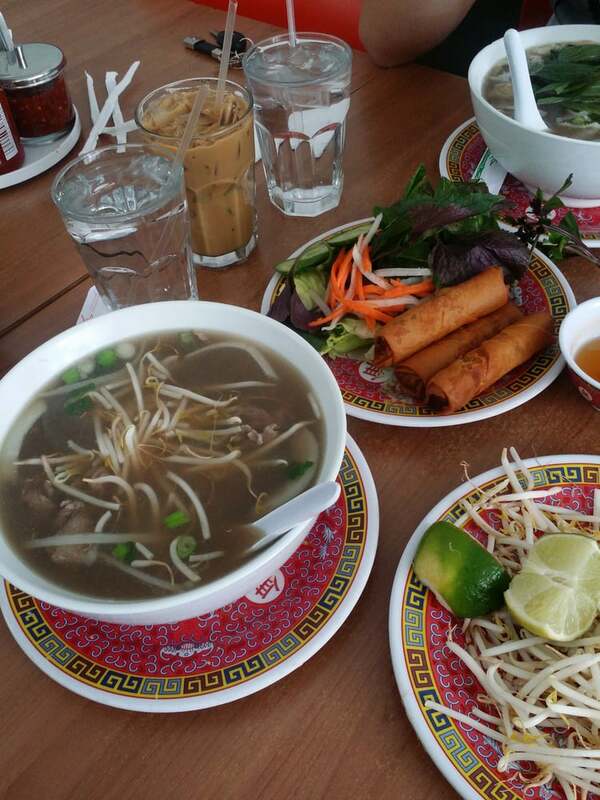 I just had the veg egg rolls but I’ll def come back for the pho. This place is always packed! Take away is nice option too. Minimalist. Amazingly filling and delicious food. No frills. Great prices. Try it out! Also in the same complex is a Burmese and Thai restaurant !